This philosophy has shaped the way Foster has approached everything in his more than four decades as a musician, songwriter, composer, arranger, producer, and recording artist. It is the reason why superstars like Barbra Streisand, Celine Dion, Whitney Houston, Michael Jackson, Madonna, Andrea Bocelli, Michael Bublé, Josh Groban, Rod Stewart, and Stevie Wonder have trusted him with their voices and to help them realize their musical dreams. Indeed, few other songwriters and producers have had their fingerprints on more major moments in all of popular music. Foster has created hit songs and award-winning gold and platinum albums for a diverse array of artists including Earth, Wind & Fire, Natalie Cole, Michael Bolton, Seal, Chaka Khan, Kenny Rogers, Dolly Parton, Chicago, Hall & Oates, Brandy, ’N Sync, Boz Scaggs, and Gloria Estefan; propelled singers who have straddled both pop and classical styles like Andrea Bocelli and Josh Groban, into the mainstream; created culture-defining soundtracks for blockbuster films like The Bodyguard, Urban Cowboy, and St. Elmo’s Fire; and crafted timeless holiday classics, including perennial best-sellers like Josh Groban’s Noel, Michael Bublé’s Christmas, Celine Dion’s These Are Special Times, Rod Stewart’s Merry Christmas Baby, and Andrea Bocelli’s My Christmas. Foster has made charitable work his life’s other priority. Meeting with a young girl from his hometown who was awaiting a liver transplant had a profound impact and led him to create The David Foster Foundation in 1985. Its mission is to provide financial support to Canadian families with children in need of live-saving organ transplants. In the past two decades, Foster has volunteered his time and talent to over 400 charities, including the annual Muhammad Ali Celebrity Fight Night, The Andre Agassi Foundation, and Carousel of Hope. Tapping into his vast Rolodex of friends and superstar artists, these events have raised millions of dollars for worthy causes. “My love of music has brought me many rewards, and I feel the need to give back to others less fortunate as often as possible,” Foster says. 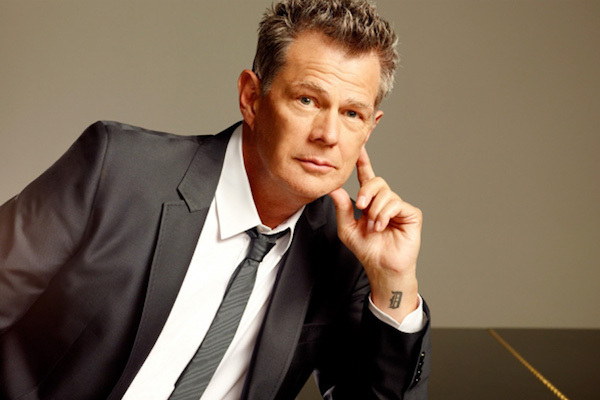 In May 2013, Foster will receive his star on The Hollywood Walk of Fame. It will be located on Vine Street in front of the iconic Capitol Records building, adjacent to the stars of his musical heroes — John, Paul, George and Ringo — a thrill for the self-described “biggest Beatles fan on the planet.” The location is doubly meaningful as Capitol was the label that signed Foster’s band Skylark in 1971. Their hit “Wildflower” became a Top 10 hit and launched Foster on his unending road to success.